Posted March 20th, 2017 by golfvi & filed under Golf Tips, Golf Vacations, Tales from the Trail. You could be forgiven for thinking that on the Vancouver Island Golf Trail it’s all about golf, all of the time. While that is true 90% of the time, given the magnificence of Vancouver Island, we’d be fools to ignore its many, many other charms. So we’re here to change your thinking and give you a unique way to explore Vancouver Island. 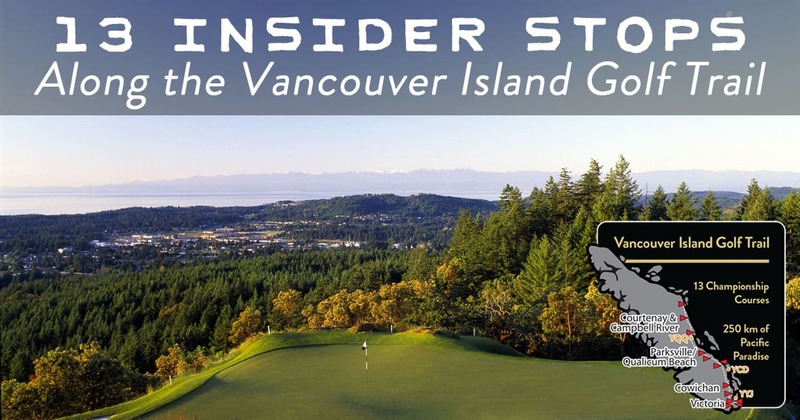 Read on for our version of a Vancouver Island travel guide: 13 insider tips and must-stops to go along with our 13 golf courses on the Vancouver Island Golf Trail. You know what goes down really well after a round of golf? Of course you do. Beer. 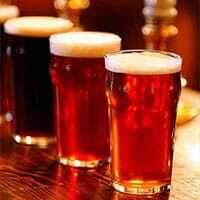 Luckily for you, on Vancouver Island, we not only boast a golf trail, but also an ale trail. After a round at a nearby Victoria region golf course, stop to discover Victoria’s Ale Trail. Whether you stop for just one at Vancouver Island’s first craft brewery, Vancouver Island Brewery on Government Street, or opt for a brewery tour, Vancouver Island local craft beers will not disappoint. She sells seashells by the seashore. Actually, they sell the freshest of fresh fish by the seaside. Red Fish Blue Fish, a “seafood eatery by the seaside”, is an absolute must-stop in Victoria’s Inner Harbour. 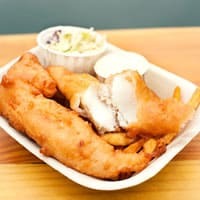 This outdoor waterfront restaurant takes everything you ever thought about fish and chips and makes it so much better. 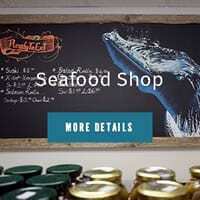 Locally caught, sustainable, Ocean Wise, straight from the ocean. So good you’ll need to play another round to make room for more. Fish and chips not your thing? A good ol’ burger is, undoubtedly, the golfer’s go-to food. It’s a guaranteed good thing between the front 9 and the back, the ultimate grab-and-go food. But at Olympic View you might want to save your burger cravings for after your round is finished. Because this is one burger you’re going to want to take your time over. 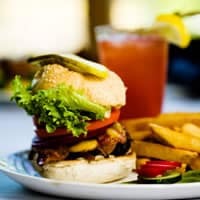 The Olympic Burger at Forester’s Restaurant at Olympic View has achieved something of a cult status amongst golfers in the know. Join the cult. You know you want to. Fancy a night out surrounded by over 2,000 sleek, glossy, beautifully curved beauties? The Cellar, nestled deep within The Westin Bear Mountain, is surrounded by over 2,000 bottles of the world’s finest wines. And every Friday night, you can be too, when The Cellar Sommelier hosts a Friday Night Flight right there, hand picking wines for your enjoyment. A fun, educational night out. Friday Night Flights 6-7pm, from $40 per person. 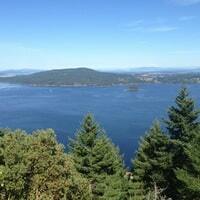 A short 30 minute drive from Victoria to the top of the Malahat (Highway 1) will reward you with views of the fjord-like Saannich Inlet and the Gulf Islands at Malahat Lookout. 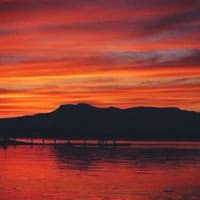 Named after the Malahat First Nation, this rugged region of heavy forest and steep cliffs is traversed by one of the most beautiful roadways in the world, climbing to a summit of 356 metres (1,156 ft). It is also of great ceremonial significance to the Malahat First Nation and one of the most sacred sites on southern Vancouver Island. 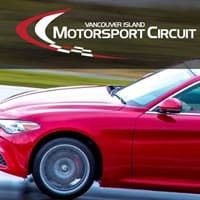 What Disneyland is to kids, The Vancouver Island Motorsport Circuit is to adults with a need for speed and a love of fast cars and performance driving. A private motorsport country club, they offer seven different track configurations, sophisticated road courses fit to host a Grand Prix, a multi-function driving dynamic area featuring a skid pad, an off-road course simulating a trip into a West Coast rain forest… Yes, it requires membership, but if you’re a motorsports enthusiast, this really is the playground to end all playgrounds. Did you know that Cowichan Bay Village is home to the second oldest active lawn tennis court in the world next to Wimbledon? It is also home to a working marine community, making for plenty of watery activity. Sail all day on a twin masted ship, race across the waves in a Zodiac to go whale watching, rent a boat and take a picnic to a deserted beach, dive deep to see the creatures of the sea or go kayaking as the sun sets. On land, ride a horse, hike a trail, go for a bike ride, head for a nearby winery. But whatever you do, don’t forget to swing a stick at some point. Southern Vancouver Island is the second-largest wine region in British Columbia, after the Okanagan Valley. The majority of Vancouver Island’s wineries are located in the Cowichan Valley, 45 minutes north of Victoria. But you know what makes this wine region even more delicious? Close proximity to some of the best golfing on the island. 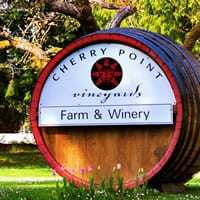 (Arbutus Ridge Golf Club is just a six-minute drive from the Islander-favourite Cherry Point Winery.) Explore our Golf and Wine packages for the ultimate Vancouver Island getaway: golf and wine touring. You can’t visit Nanaimo without stopping for a world-famous Nanaimo Bar! 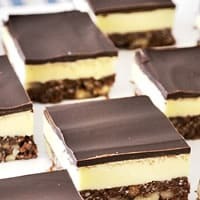 The first known recipe for Nanaimo bars appeared in the 1952 Women’s Auxiliary of the Nanaimo Hospital Cookbook and was labelled “chocolate square.” One year later, a similar recipe was published in Vancouver’s Edith Adams’ Cookbook, this time going by the name “Nanaimo Bar.” But some say that the history of this custardy, chocolatey treat dates back to when familiies would send their coal-miner providers into the mines with bars tucked into their lunch pails. Whatever the case, it’s a must-have on the Vancouver Island Golf Trail, giving you plenty of energy for yet another round. Bonus: tired feet from all that golfing? Local Nanaimo salon and spa House of Kiyo offers a Nanaimo Bar Pedicure. Now that really takes the cake! The most famous of all the Vancouver Island beaches is perhaps Long Beach on the West Coast near Tofino – a stop on every surfer’s list. But what’s that you say? Golf more your thing? Yeah, we’re with you. So with you. Luckily, you practically can’t swing a club on the East Coast without your ball hitting a beach somewhere. We’re particularly fond of Parksville and Rathtrevor Beaches, which are close to four golf courses in the region. All that golfing can really take it out of you. 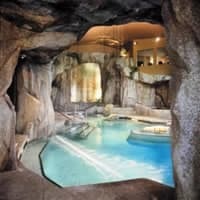 Fortunately the Vancouver Island Golf Trail is also home to numerous spas and resorts with spa facilities, including the #1 Spa in Western Canada as named by Spas of America, The Grotto Spa at Tigh-Na-Mara. Get your golfing muscles in fine form with a back massage and watch for the results on your scorecard the next day. Or treat yourself to a pedicure to get your feet ready for another 18 holes. Whatever your pamper poison, your golf will thank you for it. The very best way to eat oysters? Straight from the ocean. After a round of golf. No need to get cold and wet yourself though – just head to Fanny Bay Seafood Shop, located at the Buckley Bay Ferry Terminal for the Denman Island crossing in Fanny Bay. Here the oysters are fresh, the people passionate, and the closest golf course just 20 minutes away. Happy slurping. One of the very best and most unique Vancouver Island experiences has got to be the opportunity to pair your skins with some fins… There really is no better place to do it. 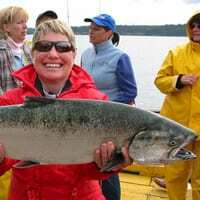 For thousands of years the waters off Vancouver Island have been harvested for their rich sea life – salmon in particular is abundant here. Our favourite place to drop a line? Well, Campbell River isn’t called ‘The Salmon Capital of the World’ for nothing. Besides, this region is also home to three particularly beautiful golf courses. Do yourself a favour and put this on your bucket list. The Fins & Skins experience really can’t be beat. 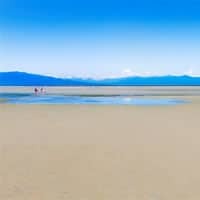 Finally, if you’re still looking for more things to do to round out your golf trip to Vancouver Island (although there’s always another fantastic round of golf to be played – just saying), check out our extensive Things To Do on Vancouver Island guide. Fair warning though: you may just have to extend your trip. Trip could not have been better, everything fell into place. Patrick and his team did an awesome job of putting my 75th birthday trip together. Can't speak more highly of Patrick and his team, service and attention to detail. Awesome job, best trip ever.